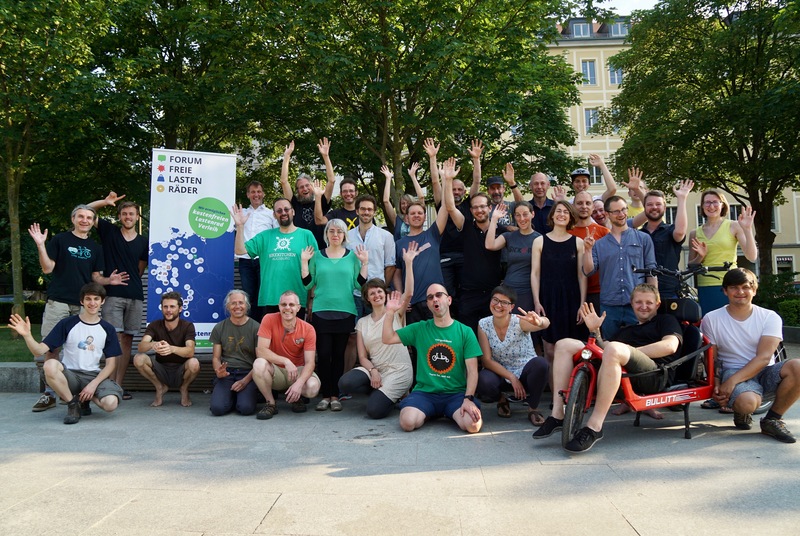 If you want to join the [[Forum Freie Lastenräder 2019|"Forum Freie Lastenräder" 2019 in Augsburg (Germany) – the annual meeting of commons cargo bike sharing initiatives]] in person or have any questions about it's program or the Skype call please get in touch. At our upcoming annual meeting (Forum Freie Lastenräder) in Augsburg on 22. February 2019 we reach out to activists and groups across Europe to introduce the concept of commons cargo bike sharing and discuss its potential in other European countries. The European project City Changer Cargo Bike (www.cyclelogistics.eu) will be part of the discussion and could become a partner in enabeling and promoting commons cargo bike sharing in cities across Europe.